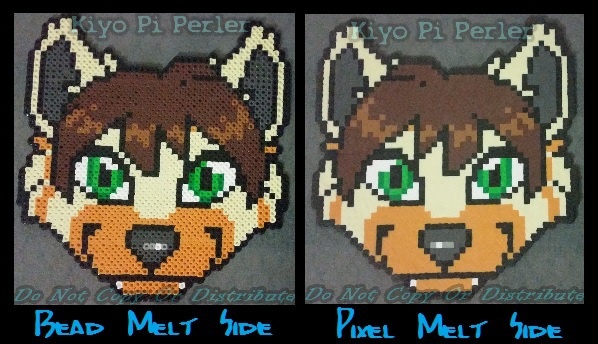 Joey Wah Badge (Original Pattern) - All done \(^__^)/ Me thinks he came out super good, even melt, nice and flat. Look at that pixel side. :D Anywho, that's number 5 from the list from RMFC. I have the next 2 days off so I should be able to finish and open back up commissions for a short while before I close again for AimeFest in Sept.